Alpha is the User Insights Platform to validate business decisions and accelerate innovation. Our always-on data moves you from strategy to iteration ahead of the competition. Every business faces existential threats from market forces, new competitors, automation, and workforce challenges. Now there’s one source of truth to guide major business decisions. 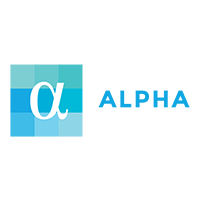 With Alpha, your team can build products based on objective data and your corporate strategy is aligned to the actual wants and needs of the market.